Fa received his PhD in Economics from Syracuse University in USA. 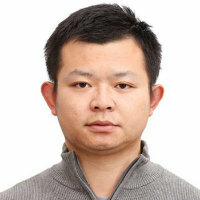 He has previously worked in School of Economics at Shanghai University of Finance and Economics. His current research interests are factor model, panel data models, machine learning methods and their applications to macroeconomic forecasting, quantitative investment and financial risk management. Baltagi, B.H., Kao, C. and Wang, F. (2017). Asymptotic power of the sphericity test under weak and strong factors in a fixed effects panel data model. Econometric Reviews, 36(6-9), pp. 853–882. doi:10.1080/07474938.2017.1307580 . Baltagi, B.H., Kao, C. and Wang, F. (2017). Identification and estimation of a large factor model with structural instability. Journal of Econometrics, 197(1), pp. 87–100. doi:10.1016/j.jeconom.2016.10.007 .